Heemang Emotional Wellness: Positive Thinking...is that all that I need? "Empower your Mind, Empower your Life!" Giving hope for those who are struggling with emotional eating and eating disorder. Living life to the full is possible! Positive Thinking...is that all that I need? 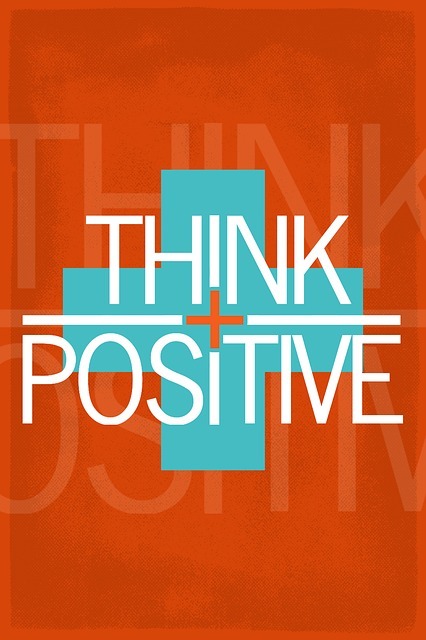 “Be positive! 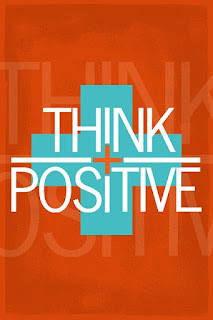 All you need is positive thinking!” I hear people say this to me quite often. Are they right? We have all heard the phrase about “waking up on the right side of the bed”. Your day starts off in the “right” frame of mind; floating to the kitchen, singing “good morning” with the birds, and making happy faces in your pancake batter. On the other hand, if we wake up cursing the alarm clock for pulling us out of our slumber, we have woken on the “wrong” side of the bed. This concept makes sense, right? Have you ever been in a situation where you felt so upset and broken that you thought you would never survive the pain? Did somebody suggest that you “just think positively?” or “thinking yourself out of it?” And did you? How did that work for you? Did this method of coping help you feel better? I tried to force myself to “just think myself out of it” when I experienced a less-than-ideal situation. What happened instead was that the next time I had similar feelings, all of those unresolved emotions from my previous experience also came back. Can it be possible that positive thinking is the same as avoiding feelings? Does it hinder us from experiencing uncomfortable emotions? Should we avoid feeling upset and hurt at all costs? Let’s face it, life is full of ups and downs. We feel sadness, pain, happiness, and joy. We need to experience all of these feelings; without them, we could not appreciate the difference between one or the other. 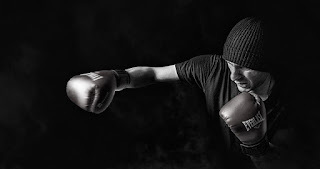 Have you noticed that if you are in emotional or physical pain, and someone tells you to simply find a positive outlook, you feel like you might snap? Because I sure do. Hearing that response may make us feel as though our feelings have not been validated, and that there is a simple answer to our problems if we could just see the silver lining. I wish I could tell this person endorsing the positivity method that I need to have my moment of feeling pain. I need to learn that it is okay to feel sad, angry, and every other uncomfortable feeling. I don’t intend to dwell on these feelings, but I need to not be afraid of them. I do not want to live my life anticipating the next negative thing that might come along, because they are coming whether I am ready or not. Let me learn to feel these feelings, handle them, and move on. I wish I could tell this person to allow me to access positive thinking as a part of a balanced life and not as a scapegoat. Let me be grateful, and not by shutting out the negative, but by acknowledging the hardships of this life, and therefore, being grateful for all of the joyful moments that also come my way. We must learn not to feel guilty for taking the time we need to feel sad, angry, or frustrated. This takes time, and there is no right way to learn. I am still trying to figure it out for myself, and that is okay. Nobody should expect you to instantly try to generate positive thoughts immediately after feeling anything negative. Your feelings are valid. In order to develop a balance within your thoughts and emotions, you need to get to know yourself. It is because I know myself that I am aware of the need to move on if I don’t want any negative feelings to drag me down. I have developed a list of things that I can do to help me feel better and begin to look forwards, as well as some self-soothing and self-care activities that work for me. Examples of these include having a nice hot bath with a good book and some candles lit. When I am reading in the warm water, I can feel my heart and my mood warming up. Perhaps try and configure your own list for the next time you feel as though you’re ready to move on from some negative feelings. Who knows? You may experience that a brighter thought will come effortlessly as you begin to embrace accepting all of your emotions. For those of you who try tirelessly to think positively all of the time, consider that you might be missing out on some real life experience. You may be robbing yourself of the things that make life more colourful. You may be missing a chance to experience your life to the fullest. Allow yourself to acknowledge all of your feelings, good and bad, and find out what works best for you to move forward. It’s not easy, but it’s worth the effort. What you need is not a “ new you” but to embrace “You” in 2018! Who is forcing you to starve? You cannot choose to have an eating disorder but you can choose to fight against it!